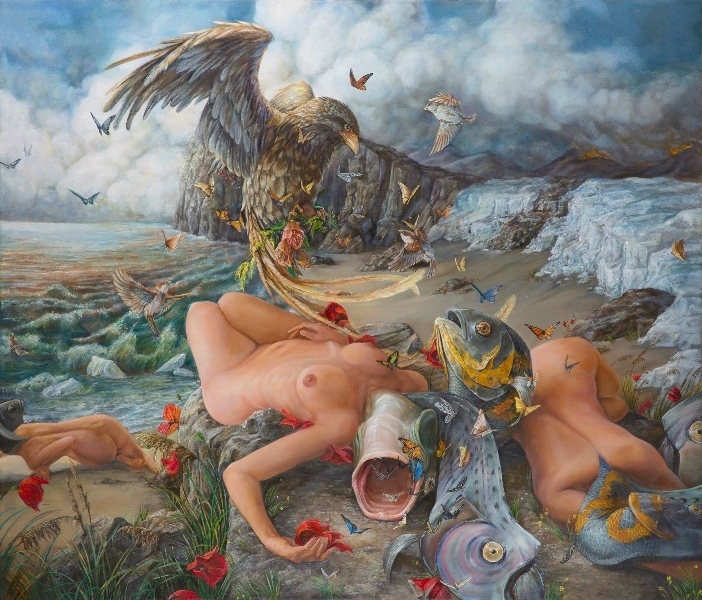 In her own work, Yata seeks to interweave political ideas, (using nature, women, and feminism almost synonymously), environmental degradation, and themes of moral injustice into increasingly chaotic paintings. 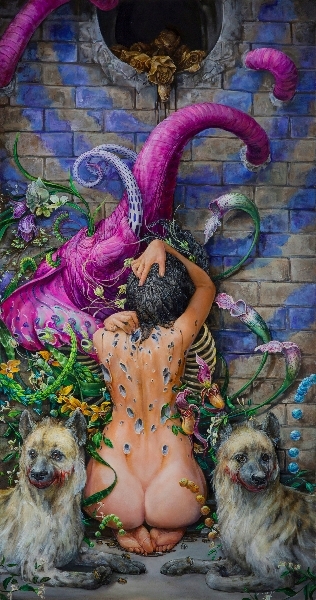 She uses masks from a mix of other cultures to speak to the different relationships that native tribes and cultures have with the earth, while giving anthropomorphic qualities and symbolism to the animals to speak their consciousness. 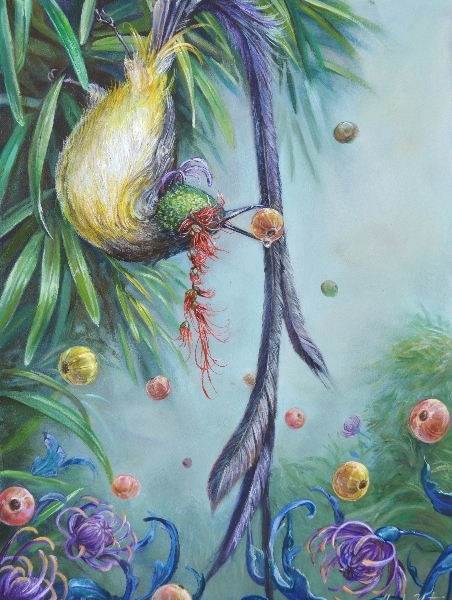 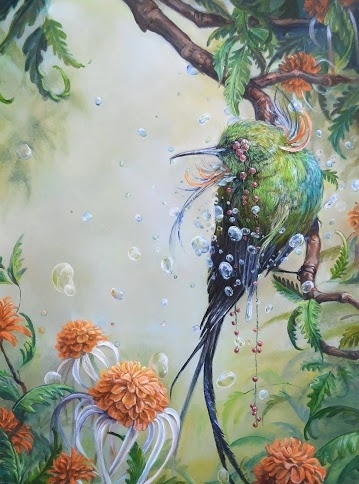 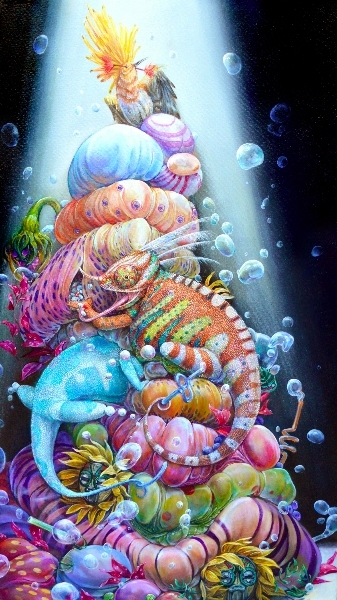 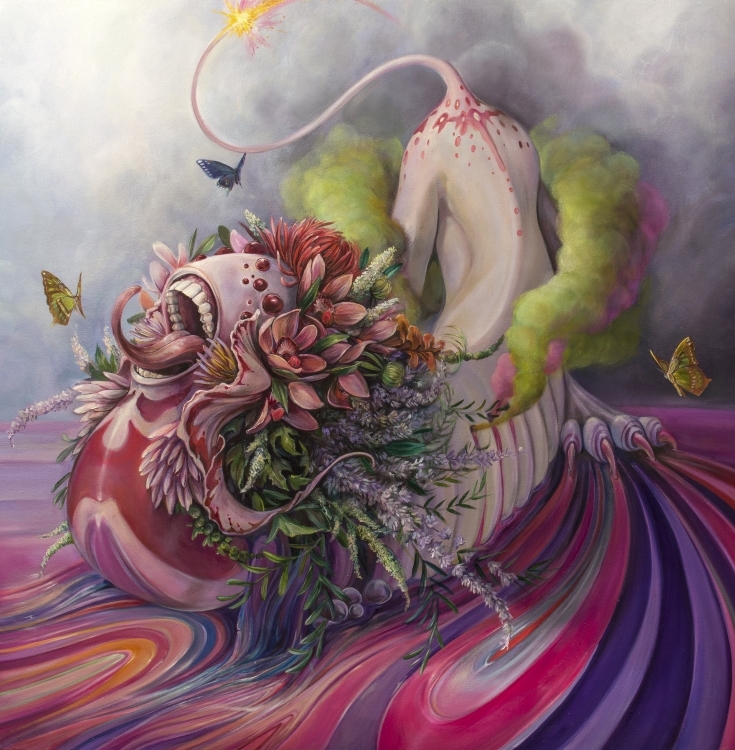 The increasing psychedelic features to her work are inspired by beauty and the energy of nature, while communicating the anxiety and tension she feels brewing in the world. 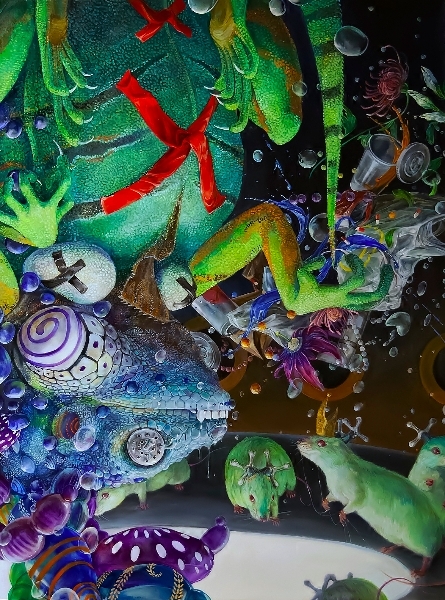 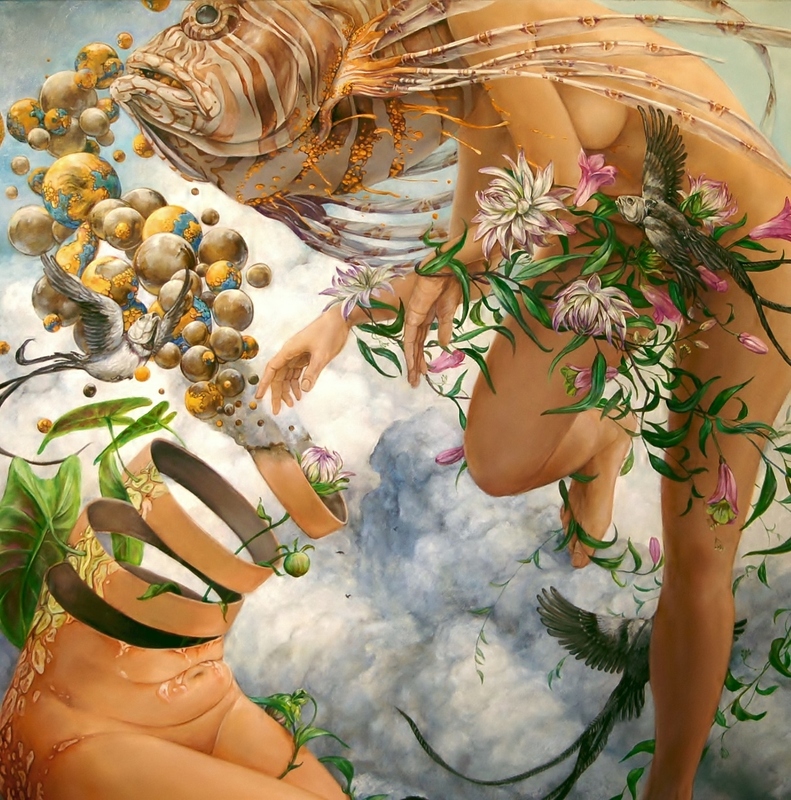 These elements are combined many times to celebrate the female form that denies objectification and exploitation of nature and interweaves them into grotesquely beautiful, surreal dreamscapes.